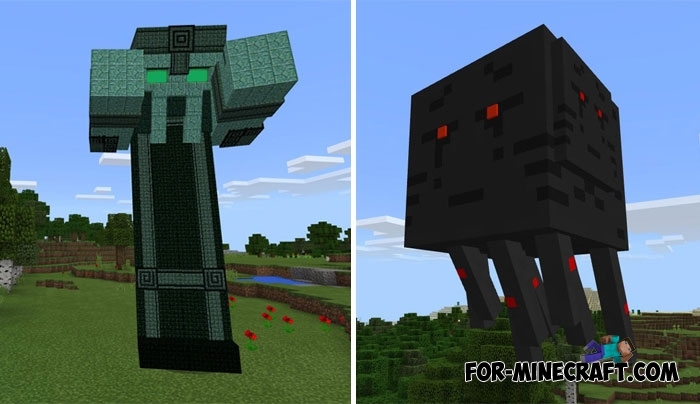 Soon we will see new episodes of Minecraft Story Mode, where there are completely different possibilities and a story line unlike Minecraft. 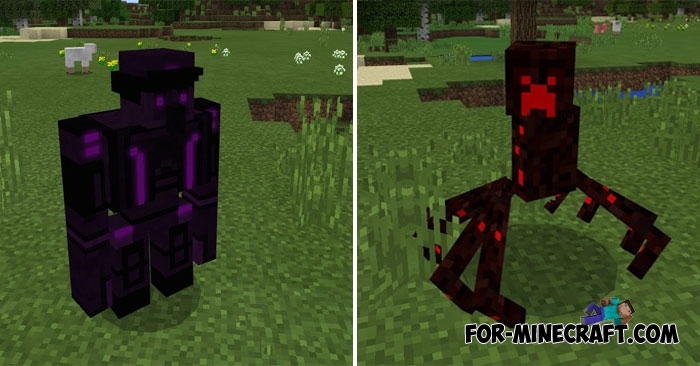 In the meantime, you can enjoy this wonderful addon that adds copies of creatures that live in Story Mode. If the addons capabilities allowed to do great things, then for sure we would see a semblance of the plot, copied effects and much more. 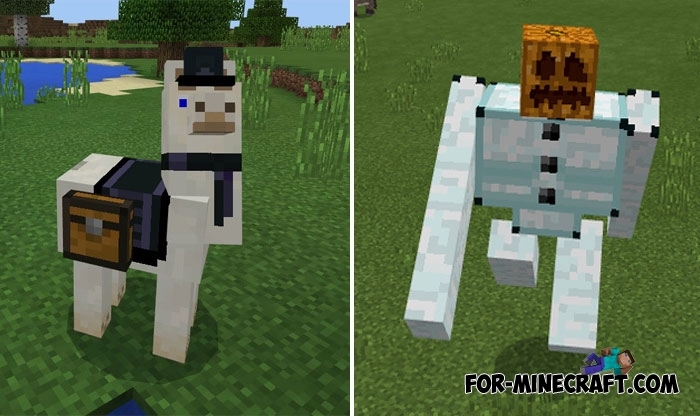 Anyway, the best Minecraft Story Mode addon in front of you, quality models and characteristics prove it. 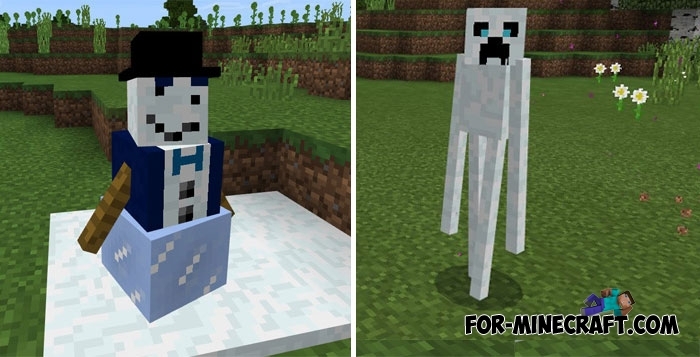 Updated for Minecraft Bedrock Edition 1.2.9. 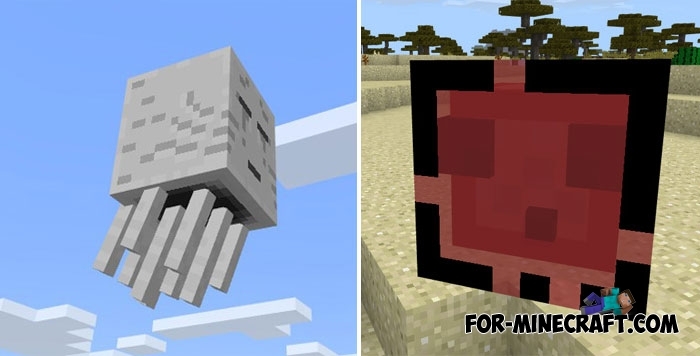 All 23 mobs are a big surprise for you and for some peaceful animals. Most of them are aggressive and very often occur in the upper world, while several of them live in other dimensions. 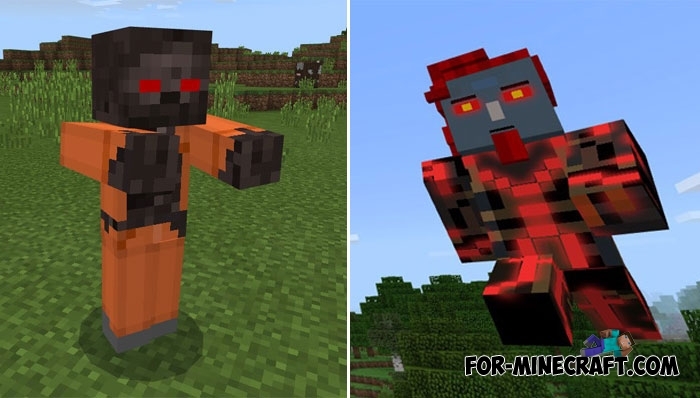 Always be ready to face the danger and fight with it, especially when the addon adds a couple of bosses. 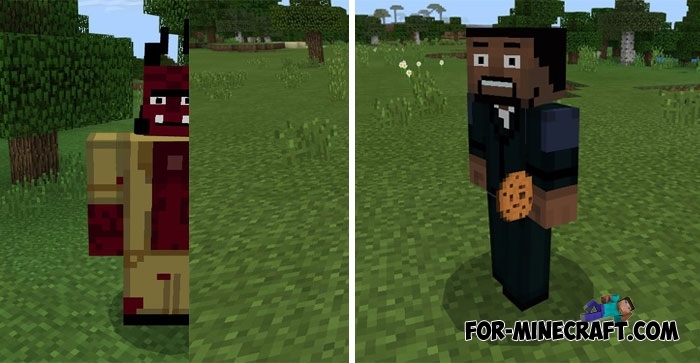 How to install the Minecraft Story Mode addon?